It's October, the days are drawing in and it looks like coat season may finally be upon us. Well, in a more urgent way than usual - this is Scotland after all. For the taller ladies of the population, shopping for a new winter wardrobe can be more headache inducing than pleasurable. For the most part, the high street still hasn't got around to including a tall range in their in-store collections, so the best we can hope for is layering up outerwear with giant sweaters to compensate for those missing sleeves inches, right? Actually, here's a better solution. Park yourself on the couch with this handy pick of the season's best tall girl styles, then go crazy with your credit card at the lovely online shops that make jackets just for us long-limbed lassies. The first stop for every tall girl's wardrobe updates has to be Long Tall Sally. A whole website (and a few stores) dedicated to clothing made just for us. That's the dream, people! Of course, it's impossible to live in Scotland and not own at least one sensible jacket, but sensible doesn't have to mean boring. This parka is purple and has a delightful flash of plaid on the yoke. So you can be dry AND patriotic. 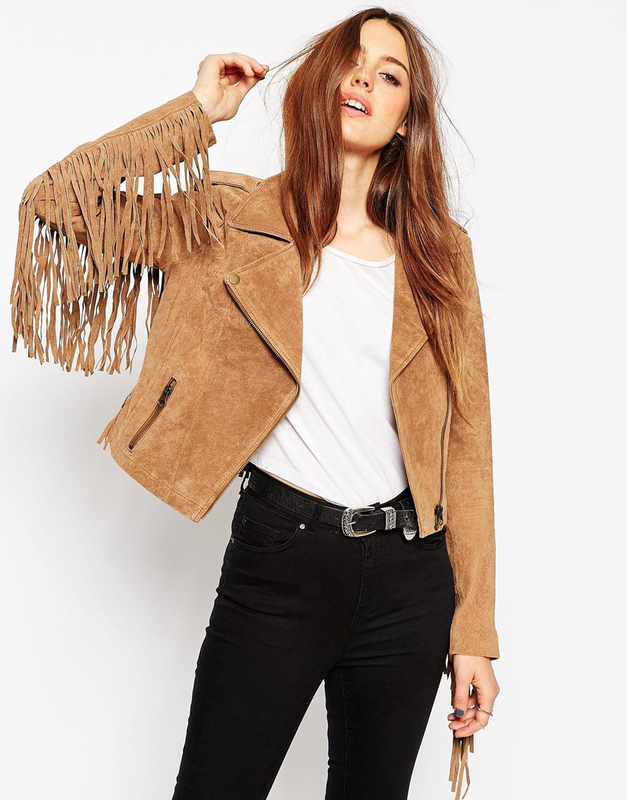 From the practical to the not-so-much, this suede biker jacket with dramatic fringing is bang on trend, with a nod to the recent seventies revival that's been sweeping the stores. Teamed with flares and a pair of chunky-heeled boots, it'll take you right through to festival season next summer. Get it here. Next has been a familiar sight on the high street for many a year, but their tall collection is often overlooked thanks to their decision to sell it exclusively online. On the upside, try on anything in the store and there's a good chance you'll find it in more suitable proportions on the website. This soft grey check coat is the perfect piece to add a flash of pattern to an otherwise plain outfit, without drawing too much attention to yourself. Buy your own here. However, if attention is what you crave, Next also has this frankly adorable faux fur jacket. No piece of clothing has ever conjured up such a feeling of cosy, snuggly warmth as this one. Ideal for those days when getting out of your pyjamas is just too damn difficult. Snuggle up in your own here. It's pretty unheard of for a coat to come anywhere near our ankles, which means any opportunity to wear one that does exactly that should be taken advantage of. For occasions that call for smart over casual, ladylike over tomboy, put-together over just-rolled-out-of-bed, this charcoal maxi is a winner. Plus, the wintery gales won't get a look in with this coat wrapped all around you. Get yours here. For the truly brave among us who have that enviable ability to just not feel the temperatures plummet, enter the sleeveless one. This coat is just the thing to show off those new winter woollies whilst working a fierce layered look. Just make sure the layers involve thermals and cashmere... Wrap up with yours here. It wouldn't be style guide without one, would it? But there's a reason the humble trench coat is considered a wardrobe essential. It works in all seasons, the cut is universally flattering and the neutral shade means it can be teamed with just about anything to create a stylish look. Ok, that was a few reasons, which only further justifies its place on the list. Go buy one here! Our winter coat Tall Girl style guide is brought to you by guest blogger, Elise of Elise and Life. 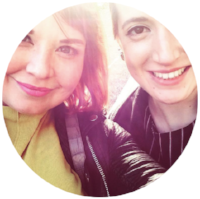 Why not check out more tall girl-friendly fashion posts by Elise here and follow her on Twitter now! What are your top tips for dressing when you're blessed with height? Share you tips in the comments below!